Not everyone enjoys the Viking party on The Real Housewives of Orange County. "The Real Vikings Of Orange County" is the 18th episode of the show's 12th season. 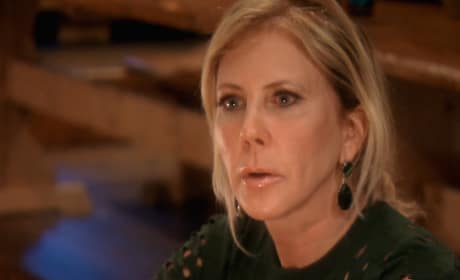 Vicki has a scary moment concerning her health on The Real Housewives of Orange County. "A Case of the Vickis" is the 17th episode of the show's 12th season. 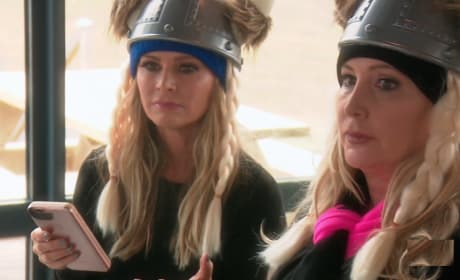 The ladies head off on a trip to Iceland on The Real Housewives of Orange County. "An Unexpected Thaw" is the 16th episode of the show's 12th season. Tamra is confused as to why Shannon becomes so angry on The Real Housewives of Orange County. "Mystic Mistake" is the 15th episode of the show's 12th season. Vicki and Tamra finally face off to see if their friendship can be repaired on The Real Housewives of Orange County. "Armenian Rhapsody" is the 14th episode of the show's 12th season. Lydia reacts to Vicki's phone call on The Real Housewives of Orange County. "Don't Rock The Boat" is the 13th episode of the show's 12th season. Vicki stops in to visit Kelly during her recovery on The Real Housewives of Orange County. "Farm-to-Table Manner" is the 12th episode of the show's 12th season. Kelly decides to make a mold of her breasts before her breast reduction surgery on The Real Housewives of Orange County. "Breast Intentions" is the 11th episode of the show's 12th season. Tamra feels unsure when she gets a phone call from Vicki on The Real Housewives of Orange County. "Loose Lips Sink Friendships" is the tenth episode of the show's 12th season. The ladies prepare to play drag bingo on The Real Housewives of Orange County. "Drag Bingo Bombshell" is the ninth episode of the show's 12th season. Vicki is envious when she finds out about the other ladies' St. Patrick's Day plans on The Real Housewives of Orange County. Can everyone just get along for the magazine launch party on The Real Housewives of Orange County?